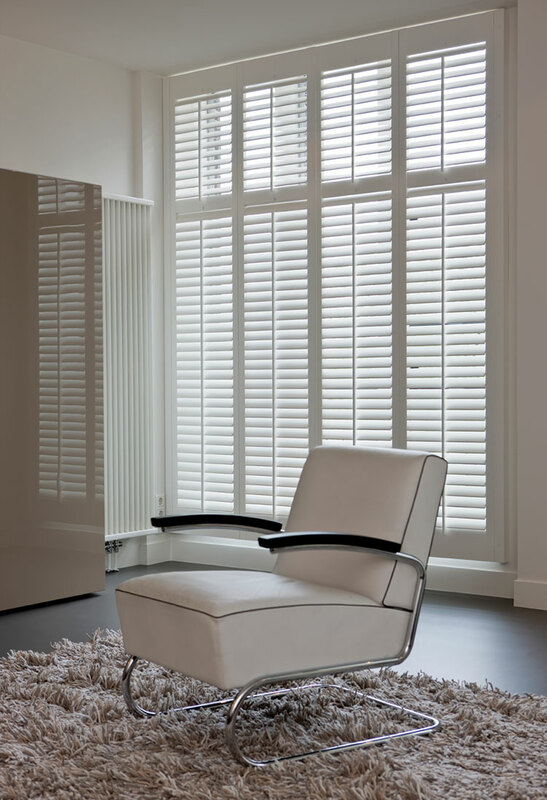 Covering the full aperture of the window or door, this is our most popular shutter style with it’s clean and contemporary look, allows adjustable light into the room and total privacy with a mid-rail tilt bar. 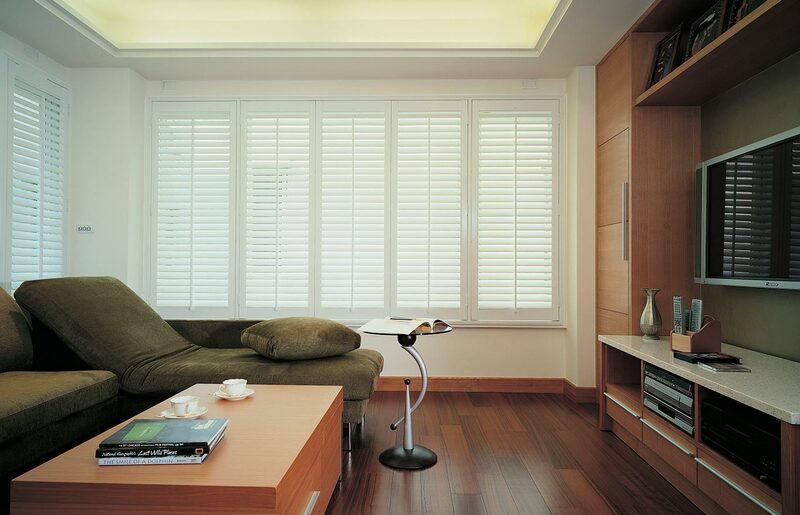 Full height shutters are ideal for almost every window. These single panels full height shutters are strengthened with a horizontal divider rail, thus allowing independent movement with single or multiple control rods. Full height shutters provide exceptional privacy making them ideal for properties next to busy pavements and main roads, or that are overlooked by surrounding buildings. 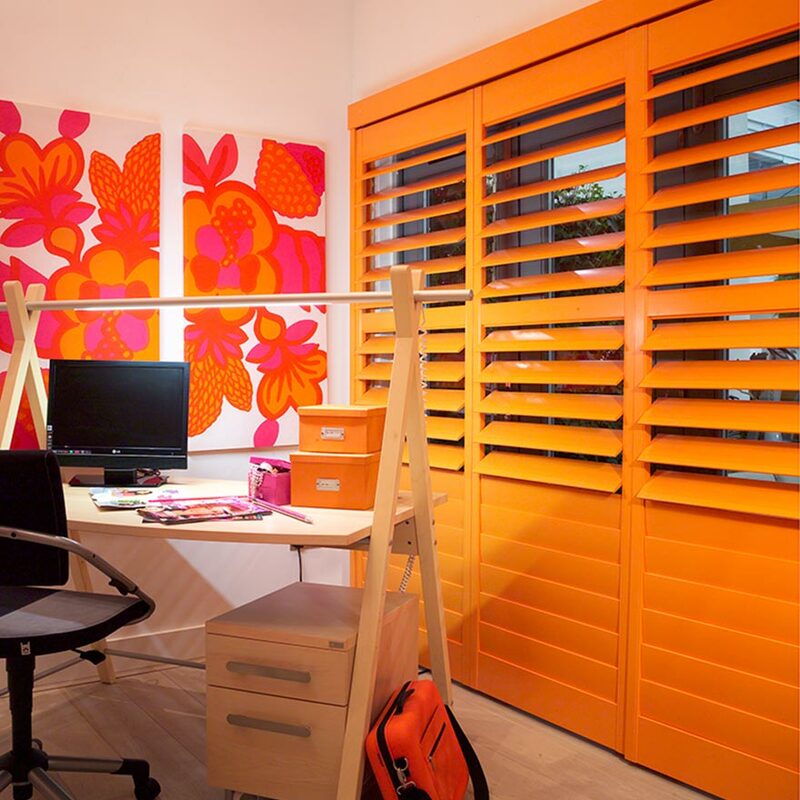 All of our bespoke full height plantation shutters are available with various customisation options such as hinges, tilt rods, locks and a wide range of colours and frames.